A survey from travel insurance company Allianz Global Assistance found attitudes towards AVs worsening compared with a year ago. Out of 1005 Americans surveyed as part of the fourth Sharing Economy Index, only 43% said they were interested in using AVs, down from 53% last year. The overwhelming reason for people’s lack of interest was safety, with 71% of respondents declaring that they had safety concerns, six percentage points up compared to last year. What’s more, only 52% said they were confident that technology will ever get to a point where they would consider trading in their conventional vehicles for self-driving ones. Other reasons for people’s lack of interest included cost, lack of familiarity, bad publicity and not wanting to be a ‘guinea pig’. The results of this most recent survey echo those of a Cox survey released last month, which found that 49% of participants would not buy a Level 5 AV with no option for manual control. 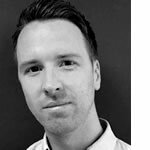 As editor of four magazines at UKi Media & Events James brings over a decade of writing about, and obsessing over, technology and cars to Automotive Interiors World, Stadia, Winter Sports Technology International and Auditoria. Responsible for commissioning, writing and editing each issue he’s covered the best (and worst) from around the industry on a continual search to feature the latest innovation or talking point on the next cover.